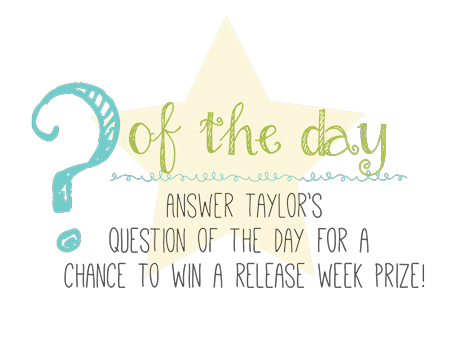 Welcome to the third day of sneak peeks from Taylored Expressions! I am so excited to share this card that I made using the Build A Scenes - Nursery and also combined this with the Build A Scene - Window dies. I love these amazing dies - total must haves! 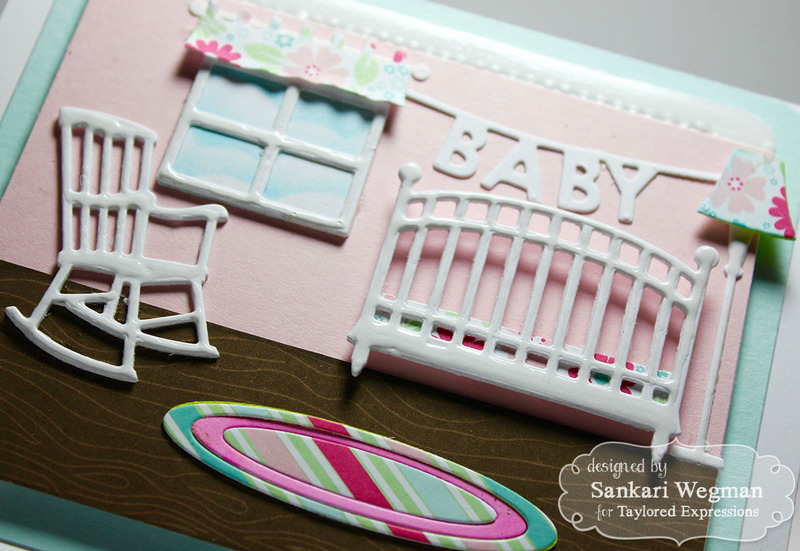 One of my best friends just had a baby girl and I wanted to make a special card for her little precious girl! I can't tell you enough, HOW much fun I had making this card!!!! Here is a closer peek at the card. I added some Pico Wedding Dress pico embellishers to the crib and rocking chair to make it shiny and glass!!! I also used the Hello Happiness paperpack (6x6) to paper piece the lamp and the rug. I loved how tihis turned out!!! 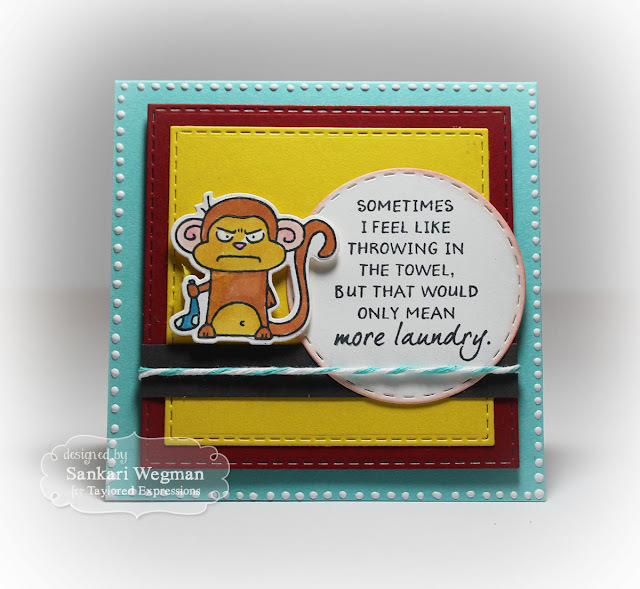 Here is the card using this super cute monkey - that sentiment is SOOOOO true!! I had to laugh!!! Here is my second card using this sentiment that totally resonates with me! There are times when I say the things that I promised I would NEVER say - and suddenly I sound just like my mom/dad! I always imagined to be a kind of parent and my children sure do teach me LOTS of lessons on how to just let go and surrender! Here is my last card using the sentiment: "Poop! There it is" --- and now that song is stuck in my head!!! LOL!!! It was truly fun to craft and create these cards using these gorgeous dies and hilarious stamp set!! LOVE IT!! I can't wait to see what everyone has created for this release - please hop over to Taylor's Blog for more details! Thanks for coming over today! Please hop on by tomorrow for Release Day fun!!! OH, I LOVE your projects ... but that baby room scene simply ROCKS!! AWESOME inspiration!! Thank you!! LOL. Sankari, your cards are fantastic. 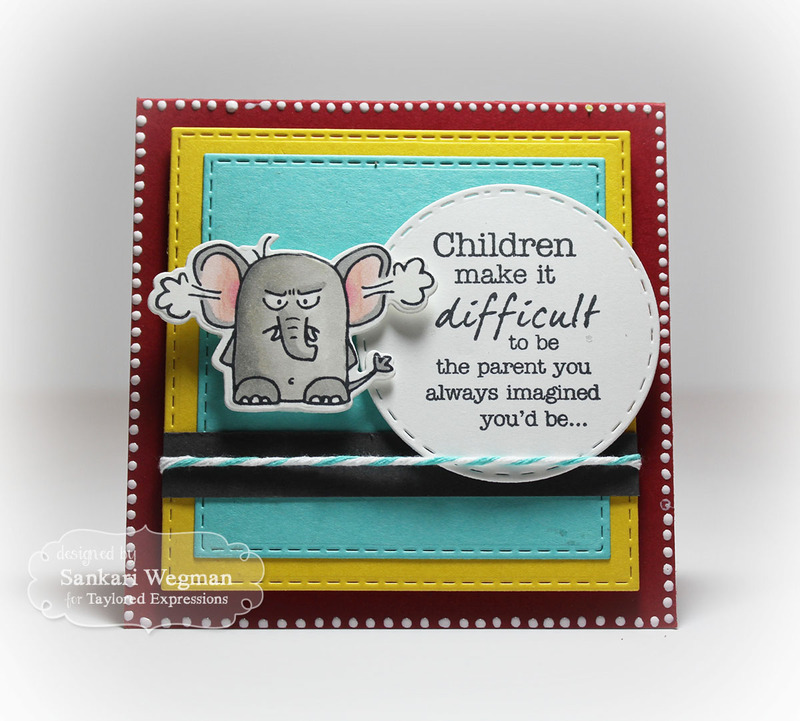 Your nursery card is precious and I totally LOVE the grown up grumblings! Just hilarious! These are all darling, Sankari! 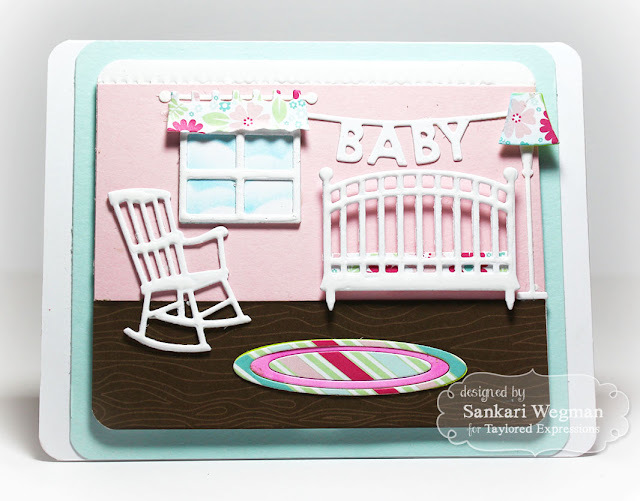 Love your nursery scene and added shine! The grumplings are all too funny!! The little scene is tooo sweet and the others are tooo funny! !